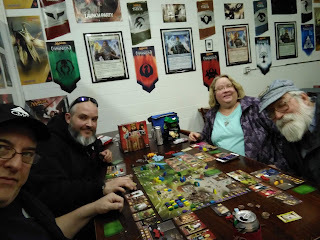 It was a busy first half of the week with some boardgaming and some AD&D (posting on the latter soon). It's been a while since I played Kingsburg so I got it down off the demo shelf to show it to Jesse when we had a little time on Monday evening to check it out. It was the base game and very close at the end, just a few points between us. Tuesday saw some visiting gamers in town with Dave Conant and Jim Ward joining Tom and Ernie, as well as Brad and myself, for a few afternoon games including San Juan (using two copies of the game to increase the player count). We also played a Tom Wham classic, made manifest through the Game Crafters as guided by Dave, called Felithian Finance, a Sci-Fi stock market game. 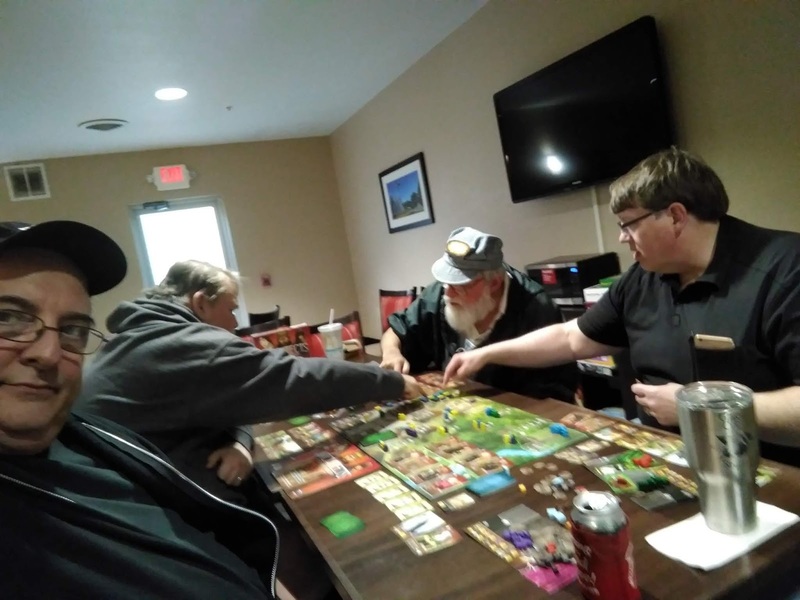 And we finished up with Architects of the West Kingdom, a worker placement game I've mentioned on this blog not long ago. A good week for gaming, indeed. 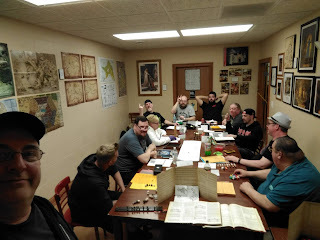 The largest group we've had in a while for the 1E AD&D game in the Grymvald setting with eight players in attendance, one still on vacation but a new face in the mix. Welcome to Jesse! Last session, the party finished their side trek to the Caves of the Deaddrop Clan. The goblins had recently secured a long-abandoned hidden Dwarven outpost to use as weapons manufacturing facility and general HQ for other tribes wishing to raid the settlements along the northern causeway. The adventurers nipped the goblin plans in the bud and gained some undiscovered Dwarven treasure for their efforts, though not without some losses and injuries. 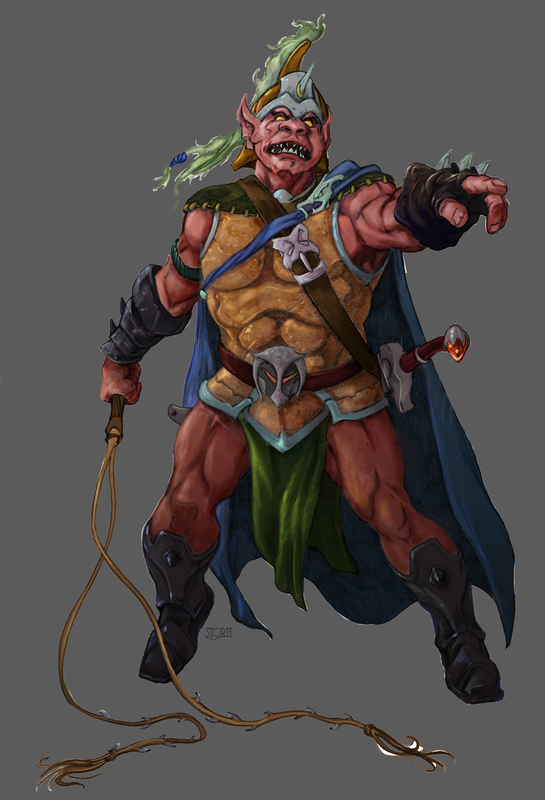 Details of the battles, and tough consequences, came in my previous campaign blog posts but I should mention magic armor and weapons were garnered and some leveling took place. 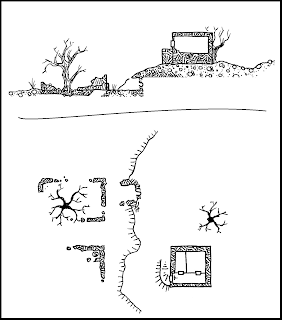 This latest session, however, saw a considerably more systematic approach to the site of their original adventuring, Marak Tor. The cultists seemed fairly entrenched but many of the obstacles to dealing with them had been cleared away or figured out. They had a fairly good idea of what they would be facing and did their best to avoid incidental injury along the way toward their goal. They had some fun removing a nasty slop bucket trap, then resetting it elsewhere with the addition of some flasks of oil, which was tripped to good effect, taking out a couple of cultists (a third dying to bad luck). They also managed to lead an owlbear and her two chicks-cubs (the players dubbed them "chubs") to the tor and upon a couple of other cultists, one of which was a goner. Unfortunately, they had underestimated the population below. After finally venturing back within, they chanced to discover a previously unknown secret door which revealed a larger temple complex than formerly reckoned and considerably more cultists than expected; dozens more! 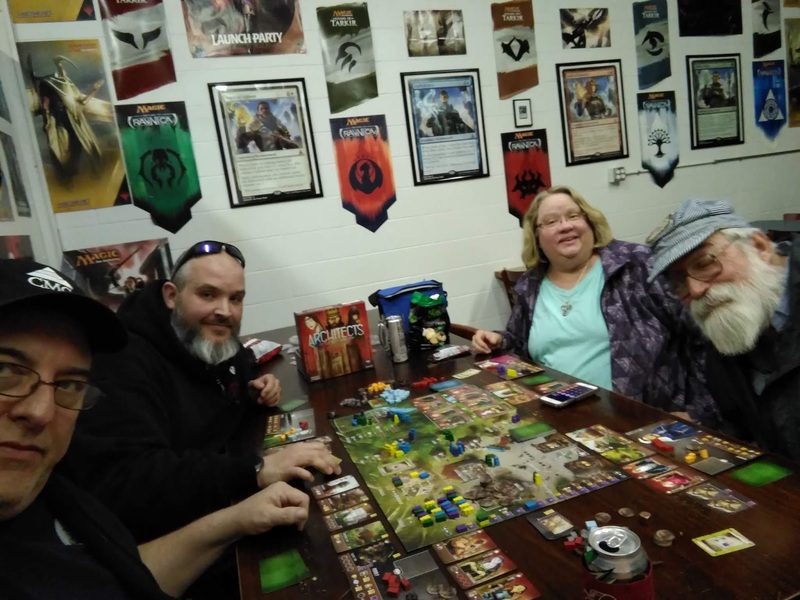 The group reconsidered but with the evening winding down we chose to freeze time before they moved off and gave the cultists a chance to regroup or reinforce. It's a tough call. They are seemingly outgunned but know the complex much better than they did when they first came upon it seven or eight games ago. The rewards could be great but the danger is undeniably tougher than they can hope to overcome without some serious losses. I do not envy them their decision . . . Ever have a group stop just short of a goal? My 1E AD&D in Grymvald game was like that and I did something I rarely do, for the sake of the game. It really wasn't too much of a DMing faux pas, and I've got plenty enough reason to have made it happen for the good of us all, and that includes anyone following along with this narrative from outside the game. Let me make my case. 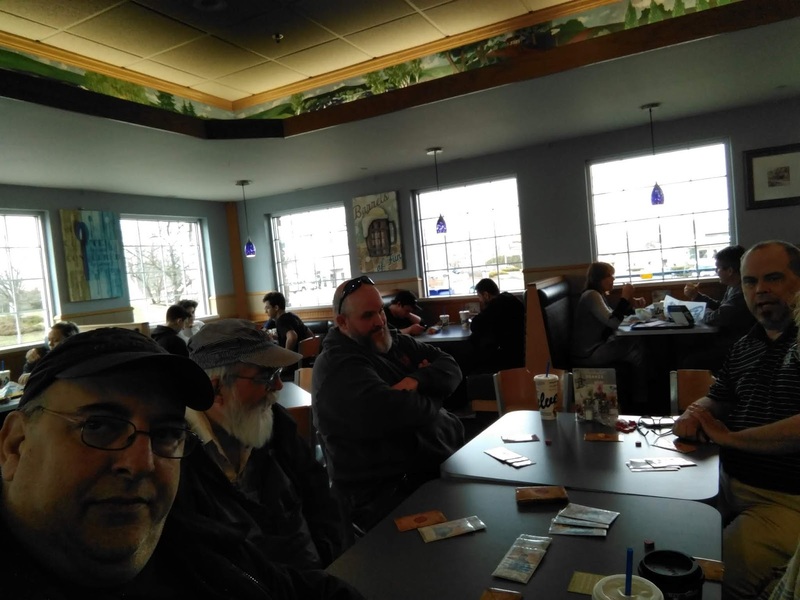 I spent the end of last year planning to run a 1E campaign in 2019, talked it up, and advertised the fact locally and around the social media channels. 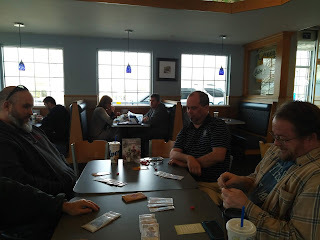 I Shared it on Facebook in multiple 1E and Old School groups and finally had the interest of nearly a dozen potential players, totally intending to run a large group, and figuring if a few don't make it any given week due to scheduling conflicts, we're still good to go and will be playing most weeks. Perhaps due to some conflict of my own, we'd miss a week once every month or two. I like it when a campaign keeps a certain pace. I like running games that get into those juicy mid-levels (5 to 9, I feel) fairly quickly. For me, this is the sweet spot for 1E AD&D gameplay. Mind you, I'm primarily a sandbox kind of DM. There's a spectrum between railroad and sandbox, IMO, a sort of sliding scale, on which all games fall with no game being at either extreme and every game having at least some of both aspects. 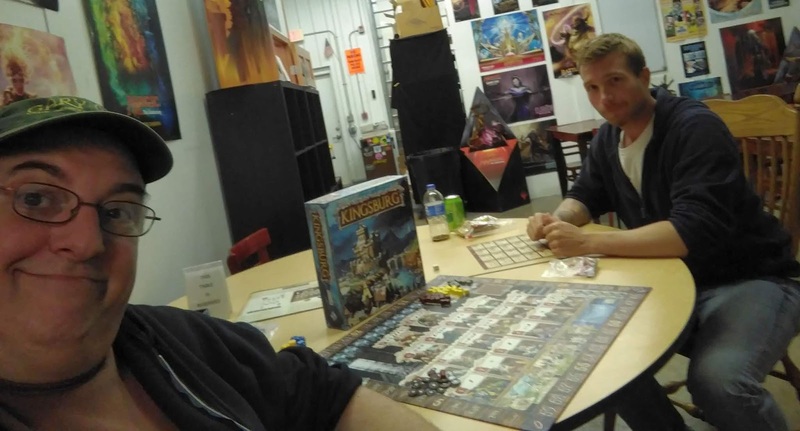 The dice ensure some randomness and the fact that we know we're playing a game guarantees it's at least somewhat of a contrivance. My point being, at my table there's going to be more randomness than predetermined narrative. What the players decide to do dictates what happens. The DM has no story, in my games, and the narrative is a retrospectively derived from gameplay. There are story elements all over the setting but the players' actions guide how they come into play. As a DM, I'm part of an audience of one who doesn't know everything that will happen but has a fairly good grasp of the potential story about to unfold due to dramatic irony. Imagine my frustration, then as a DM and fan of the gamers at my table, when we start the campaign early in January, generating two characters each (one as a backup), only to follow that up with four weeks of having to cancel due to weather! Can't be helped but already 2019 seems to have it in for us. 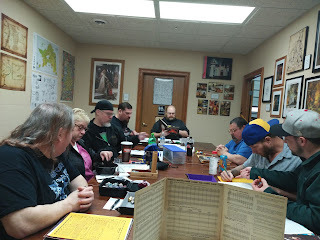 Of the dozen interested players, two didn't follow up and two more had scheduling issues crop up before we even got started, so we began the campaign with eight players who had characters but didn't get to play them in earnest until a month later. 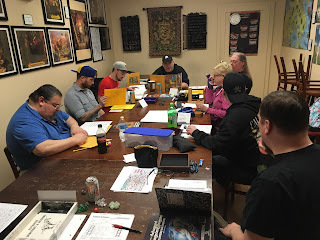 When we did get going, I was surprised when the group ignored lesser ways to garner early experience in favor of diving into the most dangerous mission they could find. Really, I hadn't expected such an ambitious crew but, "More power to em," I thought. If they really gel as a group right away, I'm all for it. Turns out, if you put a half dozen or more people in a room who all have vast individual experience but scant relationship with one another, there's going to be some time required for the group to become cohesive. Convention and gameday one-shot sessions aside, campaign game groups do generally fire on all cylinders from the start. What followed was five or six weeks of players working out the kinks in their collective playing style while their characters were punching above their weight in a meat grinder relative to the level of the party. The warning signs were there for them, and on multiple occasions they commented they might be in over their heads, but it didn't stop them from trying, and losing quite a few party members along the way. There were victories, to be sure, but the low survival rate meant the players were gaining setting knowledge and institutional memory without the individual characters advancing substantially. Eventually, the group took a step back and determined they needed to tackle some more manageable missions before remounting an expedition into the initial site of their early adventures. 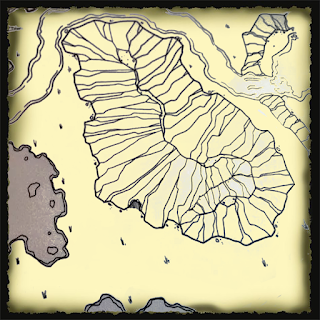 They discovered a lesser location and, with the group down a couple of players due to scheduled vacations, scouted and assaulted this alternate location quite successfully, to a point. It was great for me, again, as a fan and audience member, to see them work together more effectively. Unfortunately, even as they were overcoming diversity and obstacles, they were also missing out on the rewards nearby. They pushed themselves in such a way that they had done most of the hard work and would likely need to retreat right before crossing the finish line in the latest race they had chosen to run. This is where some intervention on my part sort of broke one of my own rules regarding letting the chips fall where they may. 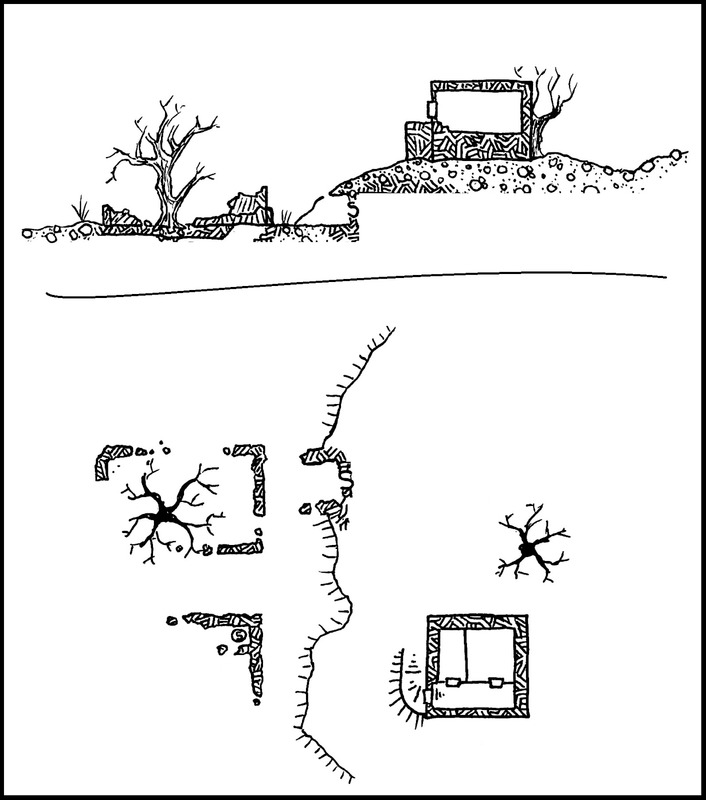 If they cleared most of the adversaries from a complex but left the treasures undiscovered nearby, in a 1E AD&D game that means garnering only a fraction of the experience points they had worked so hard to earn. I dropped some encouragement into the mix at this point to be sure they'd reap the benefits and then also discouraged pushing things so far that they'd squander those gains. 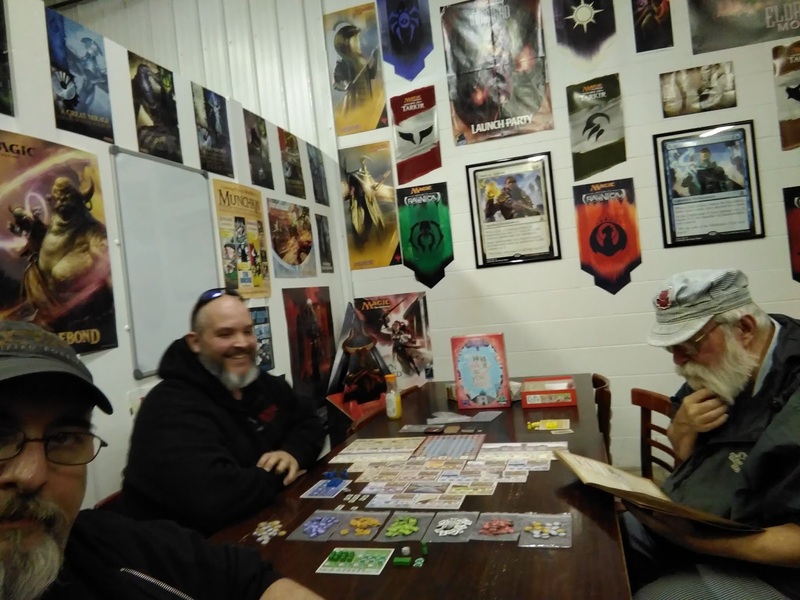 Now, some might think this a betrayal of the very DMing style I profess, the one I've cultivated for four and a half decades, while others might feel it is more important to put the success of the gaming group ahead of the purity of a sandbox game. I, as usual, fall somewhere in the middle. It's like the age old DMing question, "Is a secret door truly secret if a DM is going to ensure it is discovered?" There's probably no right answer or, at least, no universally correct truth to any answer one might give. In most campaigns I have run over the years, if the clues are there and the players miss them, so be it. Many treasures have been left in the hidden compartments of chests and under the floorboards and flagstones because the dice were not kind on a given day. Ultimately, though, all I did was help define the options and let the players decide what they should do, perhaps with a bit of emphasis on the downsides of not choosing one over another. I might have nudged this game, if not the campaign, a little further away from a true sandbox but I think it was the right call. Only time will tell and I look forward to finding out. 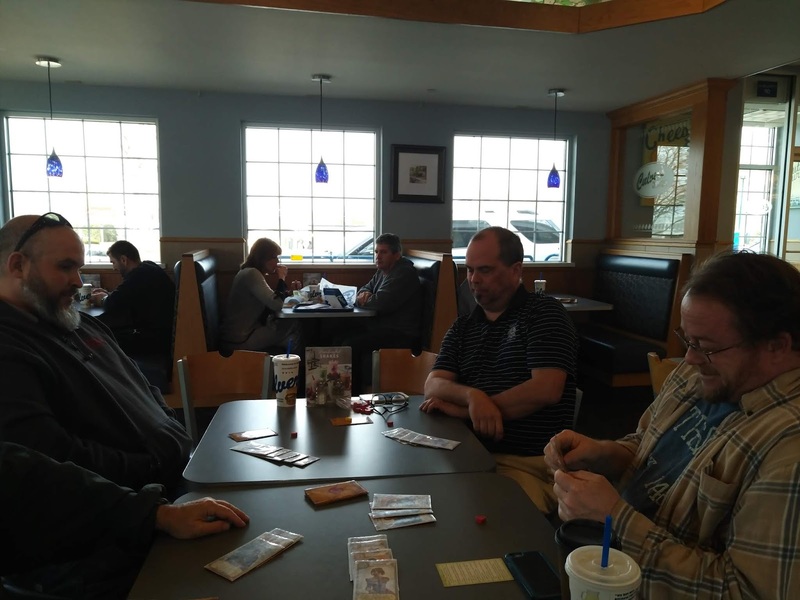 It was a good week for the LGG lunchtime gaming bunch. After Gary Con, we took another week off due to some scheduling conflicts and health issues but we were back it at early this week with a game of Yokohama. I hadn't played this in a while and failed to do much more than trigger the end game and snag the Dutch ambassador chit while Tom and Brad built solid engines. Disaster! Late in the week, we managed to get four of the regulars together and were joined by Neil. 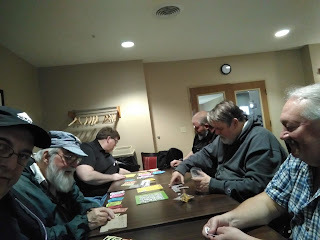 We started off with a couple of games of Skull then on to a game Love Letter Premium. Good times! 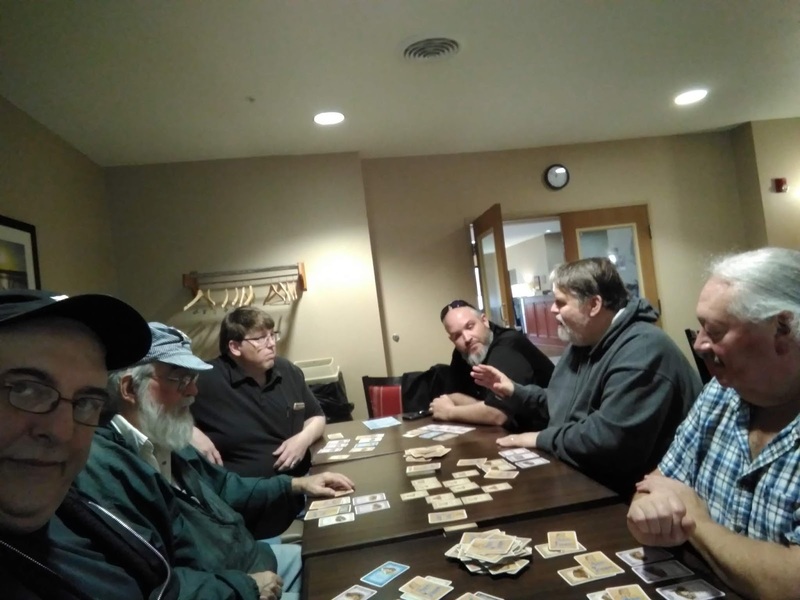 In fact, we played two games of Love Letter Premium because Mark got to four tokens in four rounds with only Brad snagging a token in answer, a decidedly quick game! My 1E AD&D Grymvald group was down to five last session due to a couple of vacations and a last minute work situation. Even at full strength, they had been having some difficulty at Marak Tor (lost three PCs last time). So, the group opted to look for a somewhat less deadly endeavor. Fortunately, a map secreted in the hidden compartment of a previously discovered scroll case showed the location of a cave complex which they determined was further to the east of Marak Tor by about another day's travel. This information was gleaned from Slanch who even knew there to be goblins in that area. 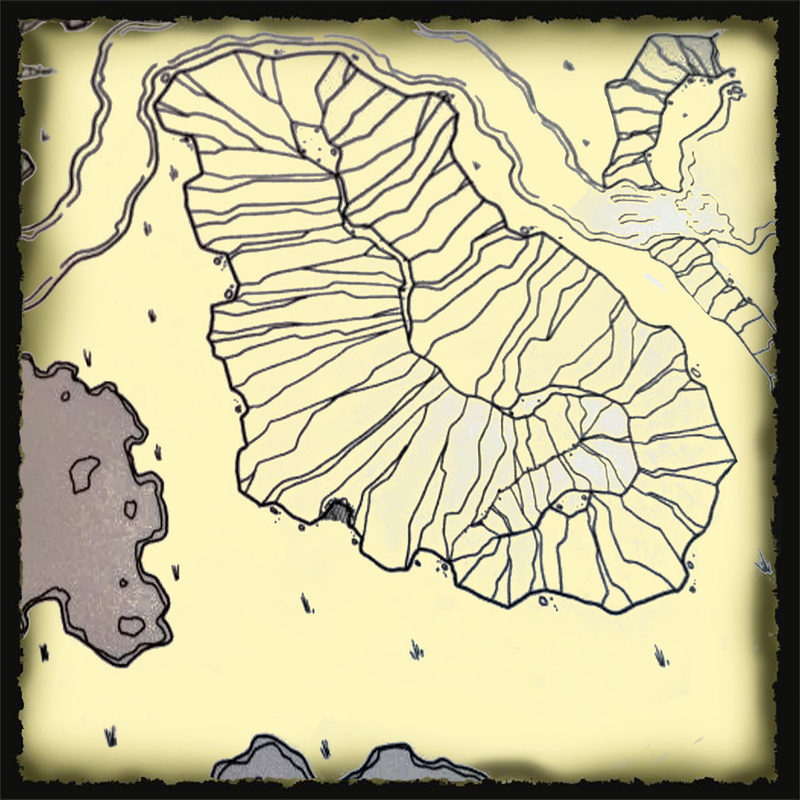 After some discussion, the group decided to guide Count Ulrich, Penelophe, and Slanch back to the mining camp, to resupply while there, then strike out again for adventure, this time to the newly discovered complex. 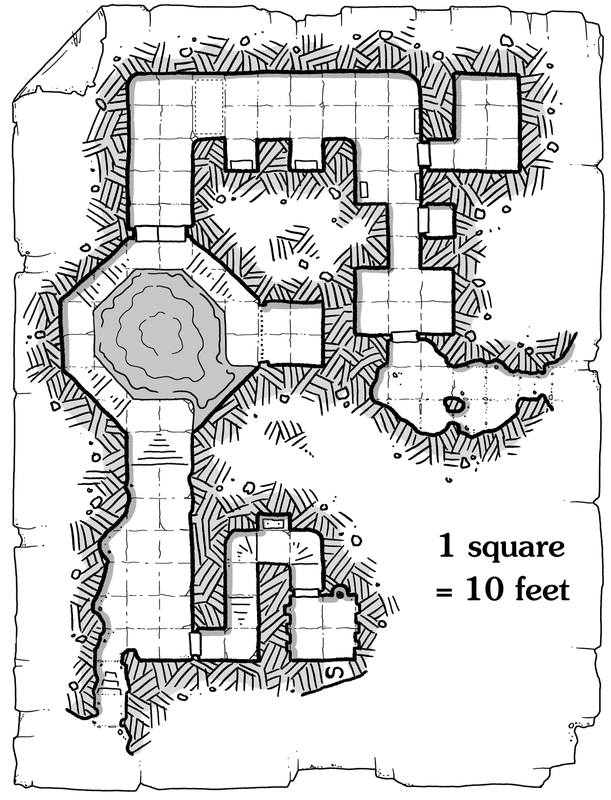 The adventurers made sure to travel by day, utilizing the bunker at Marak Tor as a secure way station halfway to the cave complex. After an uneventful night in the bunker, they continued across the moors toward where they suspected the location to be. It took some wandering but once in the area they were able to locate this new tor by following a stream which grew wider as they got within sight of it. Staying a mile off, they set a cold camp and watches, hunkering down for the night. They did some minimal scouting but waited until the next day to make a careful approach, sticking to the scrub and copses of trees to get close enough to spy the cave entrance. Sure enough, there were goblins seemingly guarding the entryway. The ranger and half-elf made some effort in searching along the western face of the tor, keeping out of sight of the cave mouth, for any hidden entrances but found nothing. They regrouped further back and decided to circumnavigate the tor to look for additional points of entry. 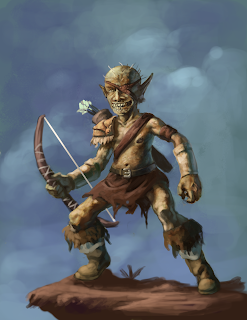 Suspicious of possible patrols, they kept well away, perhaps a quarter mile, and surprised a lone goblin to the south of the complex, taking him unaware and quickly securing him to make sure no alarm was raised. The goblin seemed to have little information but, when threatened, revealed there were a couple dozen or more goblins in the complex and that it definitely did not have an entrance on the far side, near the waterfall. Definitely not. Although they suspected a trap, the southern entrance afforded no way to get close unseen, so they backed further away, traveled back west, crossed the river at a ford they had previously discovered, then made there way around to the east side of the tor. Creeping closer along the river toward the waterfall, they sighted about half a dozen goblins outside another cave mouth near the falls. Being late in the day, and with the tor at their backs casting shade, the goblins were outside the cave. A couple of plans were discussed but waiting until morning meant the waterfall cave entrance would be bathed in morning sunlight and the adventurers would be unlikely to find the goblins out of doors, so they rushed the entrance and slew them in short order, preventing one of their number from retreating to let his clan know an attack was in progress. Although they kept their captive on a lead, he had also tried to warn his clanmates of the attack so they dispatched him, rather than risk further treachery. His cries outside were drowned out by the crashing water but if they had taken him inside with them, it might have proved their undoing. They entered the complex to find a long cavern stretching inward with a fire pit and bramble nests on which the off-duty guards must sleep during the day. They had caught them during the dusk change-of-shift, so no others were slumbering here. 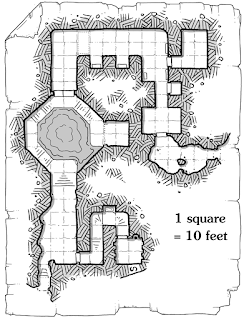 The cavern had a dogleg turn at the far end which ended in a door, the size and construction of which suggested the complex was originally of Dwarven design. Fortunately, and a key found on one of the goblins allowed them to open the door but another small skirmish quickly ensued. They took out three more goblins just beyond the door, and another working in a crude armory nearby, before running into some more serious resistance. Rounding a turn in a wide hallway, they proceeded along and discovered what might have been stone coffins in a pair of alcoves. Suddenly, two large ballista bolts shot out of the darkness at the far end but missed the party members, shattering a weapons rack behind them. The group charged forward as their lantern light revealed two ballista with goblin crews and a hobgoblin barking orders to them. As they got closer, the half elf had been carrying a bucket partially filled with water to use in sussing out traps but now flung it over the group to try and disrupt the ballista fire. This proved serendipitous since, although it fell short, it uncovered a pit between the party and their assailants. Feeling they'd be sitting ducks on the near side of the pit if they stayed out in the open, most of the group immediately made use of the cover provided by the nearest alcove. However, the fleet-footed half-elf decided instead to leap across the pit and try and take out the enemy rather then become pinned down in an alcove and risk reinforcements surrounding them. The half-elf, with Sophie the guard dog following closely, sprang across the pit only to come up short and drop twenty feet below, falling unconscious and slowly bleeding out. Sophie, the guard dog, however, made the jump successfully and began tearing into the ranks of the goblins, taking out one of the crew members, while another fell to an arrow from the adventurers. A series of good and bad fortune followed in which Sophie managed to live through the decidedly quick battle, taking out quite a few of the enemy, the rest succumbing to missile fire. Sadly, between damage from ballista bolts and additional failed attempts to leap across the pit, during rescue efforts on the half-elf, more party members went down. They managed to bring the fallen around but used up all of their healing spells and potions in the process. They then had to retreat from the complex, though not before dropping the ballista into the pit, rendering them harmless should the party return this way again. It could have been a lot worse but needing to retreat might mean the goblins are better prepared if or when the adventurers return.